Ethical investing has been around in the UK for thirty years or so. It started with negative screening: avoiding companies that are involved in ‘bad’ business, like tobacco and alcohol producers, animal testing, gambling and the like. Then came positive screening, where companies with good environmental, social and governance practices are favoured. Impact investing represents the third generation of ‘responsible investing’. Here, investors focus on companies which aim to generate a positive social or environmental impact, alongside a financial return. Importantly, this impact is measurable; an investor or fund manager will measure, and report on, the social and environmental performance of the companies in which they invest. This is, at the moment, easier said than done in many cases. With no formal requirement for companies to release complete data in a consistent format across geographies, investors’ approaches will differ. 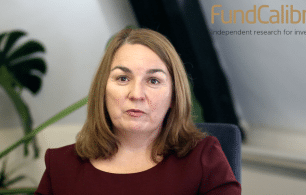 Aberdeen Standard Investments, whose Standard Life Investments UK Ethical fundis Elite Rated, has embraced impact investing. “Impact investing is not just about rewarding those who are already making a difference, but about shifting the might of the capital market to change the world for the better,” Euan Stirling, Global Head of Stewardship and ESG Investment at the company, explained. The world faces numerous challenges, including climate change, pollution, poverty and inequality, and Aberdeen Standard believes that as an asset manager, it can play a vital role in helping to address these issues. 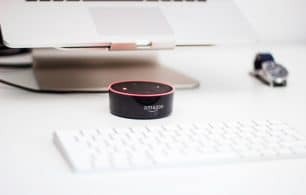 It says the key is to determine whether a company is making a genuine impact or just piggy-backing a burgeoning investment trend. The fund managers look for two things: the company must have strategic intentions – its operating model must be designed to achieve specific positive social and/or environment impact. And this impact must be measurable. To do this, Aberdeen Standard uses the UN’s Sustainable Development Goals (SDGs) as a framework. Comprising of 17 objectives, this aims to tackle a range of issues – against which there are 232 indicators to measure progress. Aberdeen Standard has also developed its own impact process and analysis to ensure the companies it invests in are truly having a positive impact. Rathbones also uses the UN’s Sustainable Development Goals. 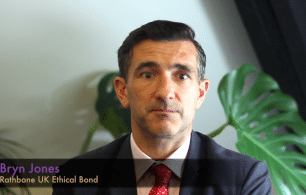 In addition, its managers – including Bryn Jones who runs Elite Rated Rathbone Ethical Bond – are able to draw on the expertise of Rathbone Greenbank Investments, a dedicated ethical and sustainable investment division that provides screening services. Fund managers are able to send stock ideas to Rathbone Greenbank, which tests them to see if they pass muster. Rathbone Greenbank’s ethical research team have also developed a tool to quantify the carbon footprint of individual portfolios. This looks at the carbon emissions reported by companies and the percentage of each company’s shares owned within a portfolio. These are then aggregated to determine the amount of carbon ‘owned’ by a portfolio through its specific shareholdings. For example, Rathbones has engaged with companies in the oil and gas industry to accelerate a move towards sustainable non-fossil fuel energy. The investment group has also encouraged confectionery makers to ensure better human practice in the cocoa supply chain. EdenTree represents a pioneer in ethical investing. Engagement with companies forms a key component of its responsible investment strategy. Each underlying investment is rigorously assessed across nine positive screens, against a full range of environmental, social and governance indicators. This creates a holistic view of the company and its eligibility for inclusion in the range of funds. As responsible investors, climate change is already well integrated into EdenTree’s investment approach. One example is ‘carbon footprinting’ its portfolios. This has been carried out for the past three years, and EdenTree can now begin to identify wider trends with a greater degree of accuracy. “We use the results of our annual carbon footprinting to drive engagement with those higher-emitting companies that we invest in. We assess emission trends and how companies are aiming to address their emissions through reduction targets,” a spokesperson said. Comparing the results of its equity funds to their respective benchmarks also serves to highlight the carbon-aware nature of the portfolios. For example, Elite Rated EdenTree Amity UK is 50% less carbon intense than the fund’s benchmark, the FTSE All-Share Index. As Aberdeen Standard Investments pointed out recently, the outlook for mainstream equity impact investing looks bright. Increasingly, investors are seeking financially attractive investment solutions that make a difference to the world. As time progresses, impact investing will establish more of a track record, demonstrating its benefits and cementing its place in the values-based investing market. FAANGs: dominant tech companies but are they ethical investments?